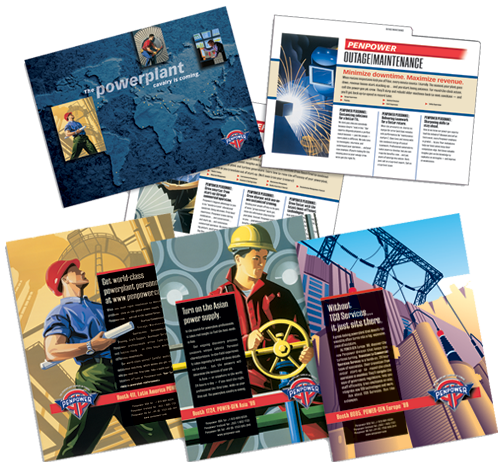 GE’s power plant personnel division, Penpower, was looking for ways to stand out from the competition while branding itself to new audiences. Their existing “look” was old-fashioned, clunky and used a gorilla as a mascot. To set them apart, S/H suggested something radical to their industry – a non-technical approach to telling a power plant-related story. S/H has created a coordinated, consistent message for Penpower by implementing a new logo, brochure, web-site, trade-show booth and package of sales sheets.